Stillpoint's Palo Verde flower essence holds the energetic imprint of the blooms and leaves of the Palo verde tree. 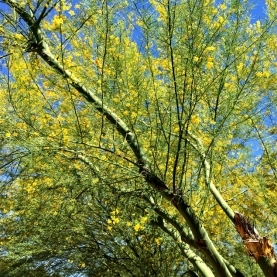 The tree from which the blossoms and leaves came, lives in a wilderness park in AZ. This particular flower essence holds the intention of individuality, connection to the past and survival.